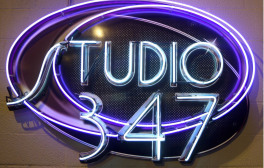 Studio 347 is a family owned and operated full-service hair salon located in Port Jefferson Station. Specializing in cuts, colors, highlights, perms and up dos, the salon also provides makeup, manicure, pedicure and waxing services. We're a salon that really cares about our clients, we have a very friendly atmosphere , our work truly speaks for itself. We are proud that Studio 347 Hair Salon was built on word of mouth and recommendations not advertisements . Lets us create your style!